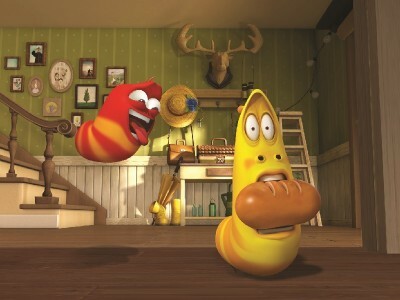 Larva - BN Licensing B.V.
‘Larva’ is a short non-verbal animated series full of slapstick comedy. The incredible abilities and abundant expressions of Red and Yellow, two little larva, will make you giggle. See the world from the minute larva point of view, and experience what a dangerous and exciting place it can be for such small creatures. Watch them explore the world inside the storm drain (season 1), an ordinary home (season 2) and on the streets of New York City (season 3). On Air in 150 different countries (since 2011), including Netflix (Worldwide) and VRT (Belgium) and consumer product licensing programs in 20 countries (since 2013).